Installation Note: Should be mounted below the fuel level of the tank for a good gravity feed on the inlet side. Designed with a fume tube for marine use and meets U.S. Coast Guard regulations. 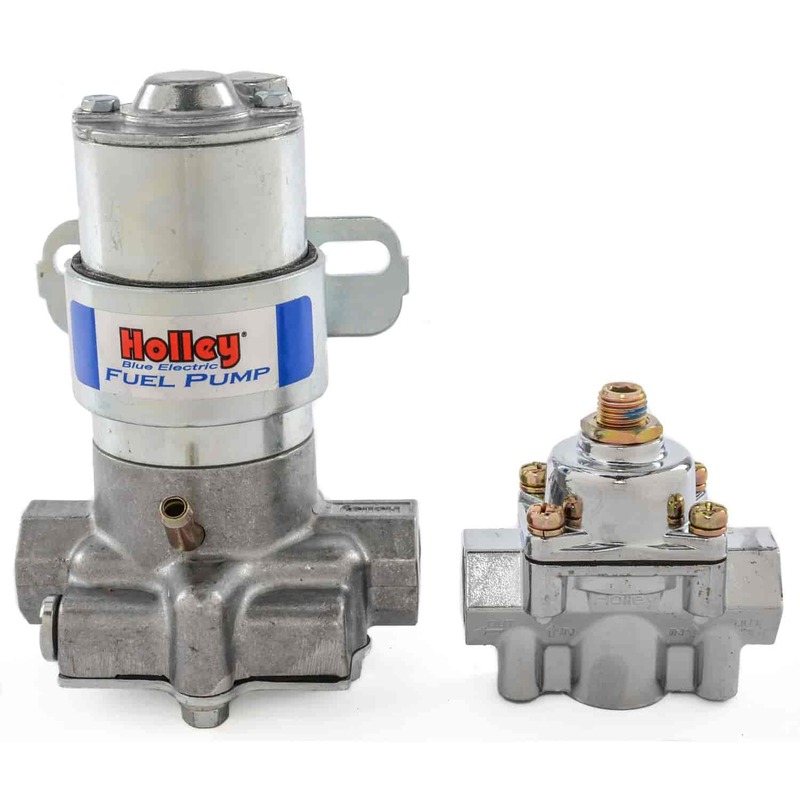 Proven winners over the years thanks to their lightweight design and ability to tolerate contaminated fuel, these Holley fuel pumps are powered by a long-life, heavy-duty, sealed-dry motor. They have a relief valve for pressure compensation and washable inlet filter screen that cleans fuel as it travels between the 3/8" inlet and outlet ports in the aluminum housing. Holley redesigned flow passages improve durability, reduce amp draw, and eliminate pulsation, which provides a higher, more consistent flow. 712-802-1 is rated 5.0 out of 5 by 1. Rated 5 out of 5 by Kech_me from Exactly as advertised. Bought this pump to put on our boat we bought. The previous electric pump was not delivering enough fuel. This was very easy to install. I installed the new pump and it made all the difference! Now we can throttle quickly to pull the skiers out of the water.